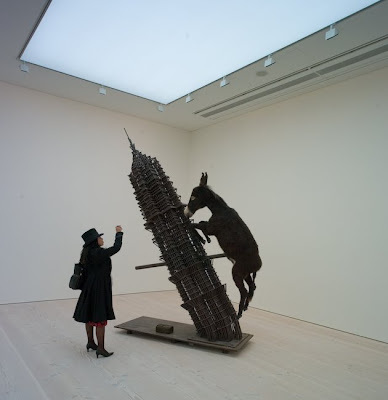 As an exhibitor on Saatchi Online, I was pleased to be invited to one of the private open days on the 8th of October to view in a civilised way the newly completed building and it's first exhibition of new Chinese art. It was busy enough to be buzzing, but quiet enough so that you could really experience the art. Refreshingly there were no severe admonitions NOT TO TAKE PHOTOGRAPHS!! which are sadly the norm enverywhere except for the British Museum and the V & A, so loads of people snapped away with phones, credit card sized digital camera's, DSLR's and me and my Leica M8. I loved it! 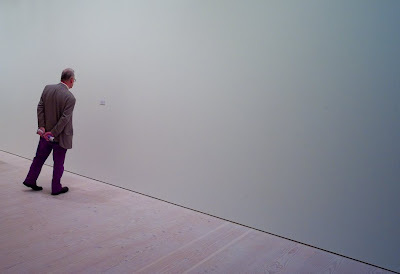 and you can see more in a slideshow entitled "Opening day at the Saatchi Gallery - A personal experience". The building is beautiful, the art full of surprises and beautifully crafted work and you should all go and see it for yourself!.